Some patients suffer from dental anxiety, meaning they’re unable to relax during treatment. 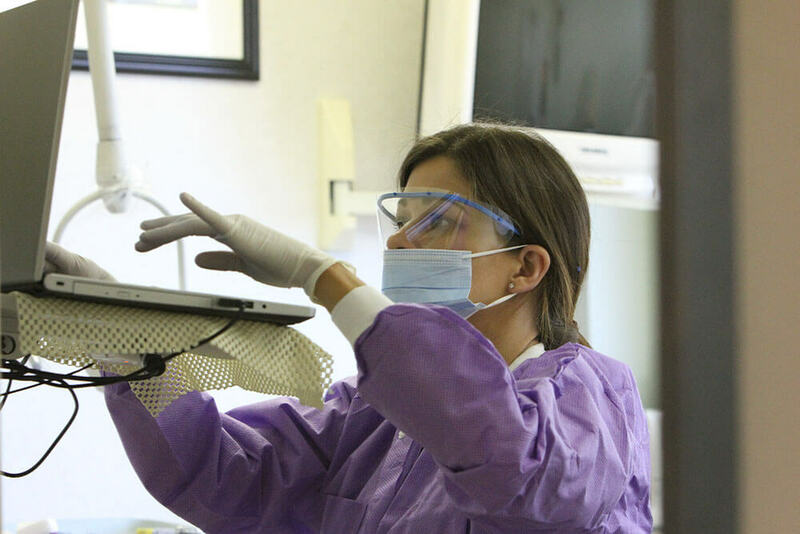 In extreme cases, some patients won’t even step inside a dental office at all. If this describes you, we’re happy to offer two types of sedation at our practice to ensure you have a comfortable experience. Nitrous oxide, commonly referred to as laughing gas, is perfect for patients with mild to moderate dental anxiety. It’s administered through a small mask that’s placed over your nose. As you breathe the gas in, you’ll experience a calming sensation that will help you feel relaxed and comfortable. With nitrous oxide, you remain conscious and responsive throughout your procedure and the effects wear off almost immediately after treatment. For patients with more intense anxiety, we can use oral medication to sedate you. This option is stronger than nitrous oxide, putting you in a state of deep relaxation that takes a while to emerge from. You’ll still remain conscious and minimally responsive, though you’ll have no memory of the procedure when it’s finished. Because the effects of oral sedation take longer to wear off, you’ll need to plan for someone to drive you home from your appointment. If you feel nervous about visiting the dentist, contact Contemporary Dental Arts in San Jose and ask Dr. Cooper about your sedation options. We’d be more than happy to provide the dental care you need in an environment that feels comfortable for you. Number one Featured Dentist in the area on SedationCare.com.